The Indian Navy and the Council of Scientific and Industrial Research (CSIR), on April 5, inked a MoU to undertake joint research and development of advanced technologies for the Indian Navy. 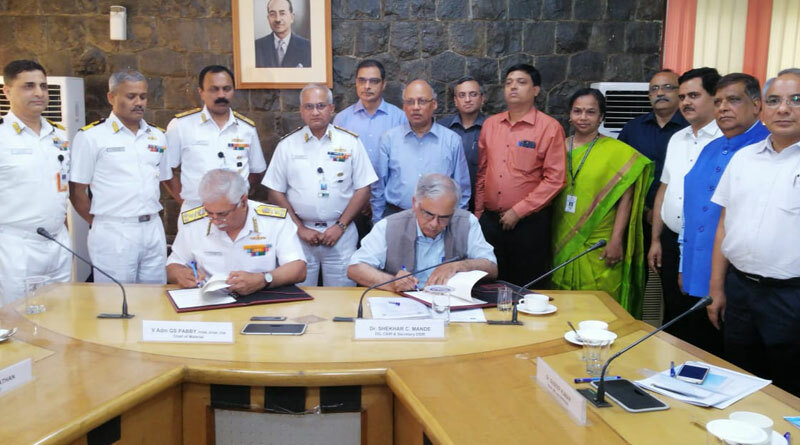 The Memorandum of Understanding was signed by Chief of Materiel of Indian Navy, Vice Admiral G. S. Pabby and secretary DSIR and Director General, CSIR, Shekhar C Mande. The event was attended by Directors of Seven CSIR Labs, Flag Officers and Heads of Directorates of Indian Navy and eminent scientists from distinguished CSIR Labs. This will be a collaborative arrangement between labs of CSIR, the Indian Navy and Indian industry. The MoU will provide a formal framework for interaction between Indian Navy and CSIR. It would also facilitate joint R&D activities in diverse fields of Mechanical, Electronics, Communication, Computer Science, Propulsion systems, Metallurgy and Nanotechnology. Some of the immediate projects to be progressed under this MoU include development of alternative desalination technologies, installation of wireless MEMS based sensors for remote operation, Residual Life Assessment studies of Gas Turbine Generator blades to improve reliability. While addressing the event, Vice Admiral Pabby congratulated CSIR for its yeoman service to the nation in the field of Scientific Research and Development and noted some of the futuristic technology being developed, which could be used for enhancing operational availability and combat capabilities of Naval platforms. 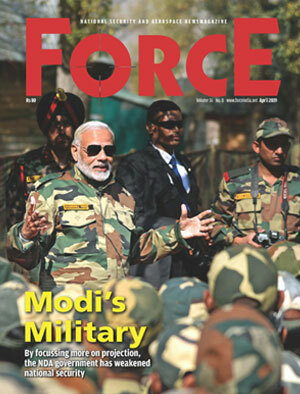 He emphasised on the necessity of such partnerships between the armed forces and world class National Institutions like CSIR which would allow Indian Navy to leapfrog towards latest technologies as well as jointly engage under ‘Make in India’, and other innovative programmes of our Government. Signing of this MoU would form the foundation for exchange of ideas and development of new technologies in the future, he added. Shekhar C Mande complimented the joint efforts and emphasised that defence remain a priority area for CSIR with an aim towards indigenisation and self-reliance in advanced technologies.